FILE – Demonstrators chant slogans and flash the Oromo protest gesture during Irreecha, the thanksgiving festival of the Oromo people, in Bishoftu town, Oromia region, Ethiopia. 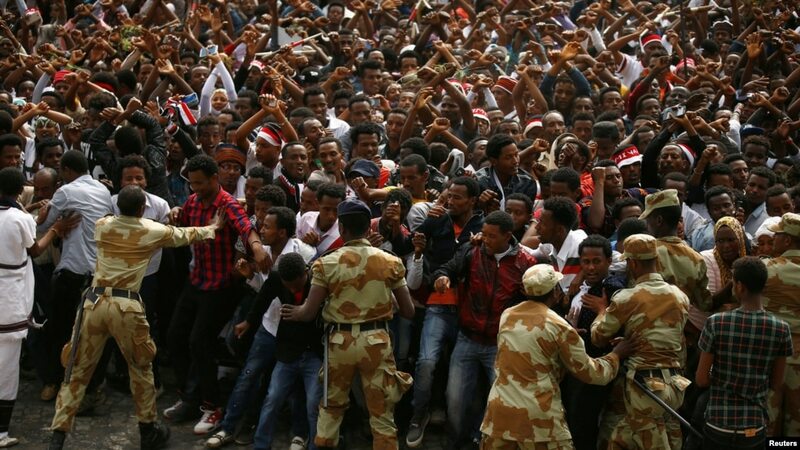 DONI, ETHIOPIA — In Ethiopia, millions of dollars in investment went up in smoke as protesters attacked foreign companies in the Oromia region. The violence prompted the declaration of a state of emergency last month. But one foreign company managed to stave off an attack with the help of community elders. 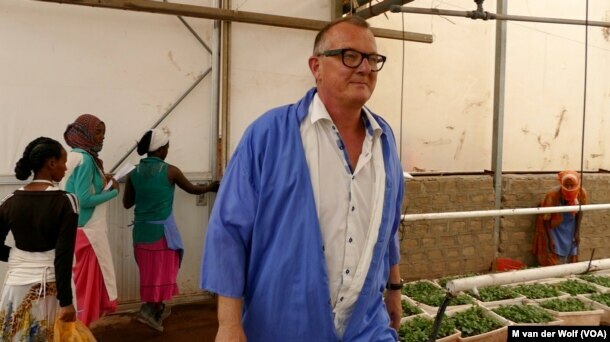 Since he came to Ethiopia 13 years ago, the owner of Maranque Plants, Marc Driessen, had never feared for the future of his company, located about 80 miles south of Addis Ababa. But that changed on October 4. Driessen saw several neighboring companies in flames. The noise of the mob was growing louder and he knew his company, where he grows cuttings for export, was next. Marc Driessen is the owner of Maranque Plants and narrowly escaped an attack by an angry group of Ethiopian protesters, Oct. 4, 2016, in the Oromia region, Ethiopia. “We saw the protesters here in front of the gate, with sticks and knifes. And it was really frightening to see them come this way,” he said. Anti-government demonstrations started in the Oromia region a year ago, but it was only recently that protesters also turned against foreign-owned companies. More than ten foreign companies have been attacked since September. Protesters say the government gives land to foreign investors without proper compensation for smallholder farmers who are forced to vacate their land. 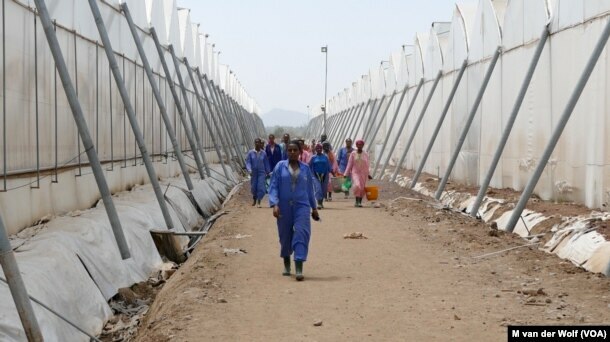 Workers at Maranque Plants are harvesting the cuttings produced for export in the Oromia region, Ethiopia. Maranque Plants employs 1,200 people, mostly women. Buziye Mekonnen is one of the many harvesters there. Throughout the day, friends and family called her to warn protesters could attack. Buziye and the other women were sent home. But Buziye was still scared, as her husband also works at Maranque Plants. She said they were scared from the moment they heard another company was burned down. And what would they do, she asked, if this company was burned down because then there would be no other job opportunity for them. 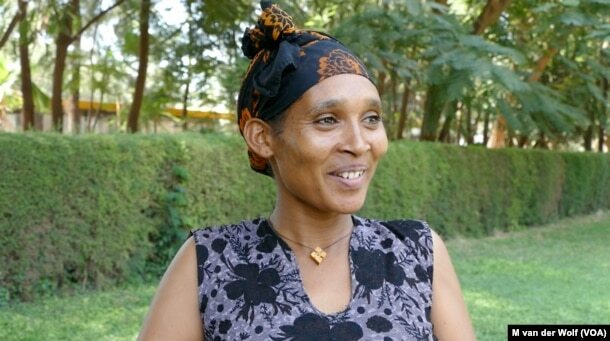 Buziye Mekonnen is a harvester at Maranque Plants. On the day of the attack she was sent home but feared for the future of her employment. Despite having one of Africa’s fastest growing economies over the past decade, unemployment in Ethiopia is high and over a quarter of the population is living below the poverty line. As nearby farms were being burned and looted, Driessen got lucky. Community elders arrived at his gate on motorbikes. They spoke to the angry crowd. Community elder Shumi Telila said he told the protesters they should not burn the place as their issue was about good administration and not with the company. 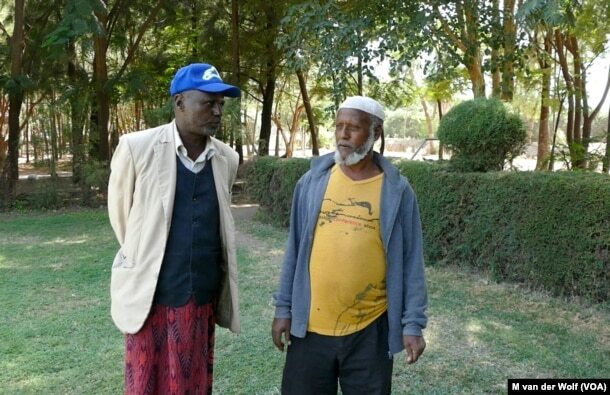 Community Elders Shumi Telila (left) and Ahmed Hamda (right) intervened when protestors were about to attack Maranque Plants, a foreign owned company, Oct. 4, 2016, in the Oromia region, Ethiopia. Telila said since then, the elders have stayed in touch with Driessen and community members to discuss issues. Some in Ethiopia worry the unrest will stall the foreign direct investment that has fueled the nation’s growth. Production at Maranque Plants is now back to normal, but Driessen said he is still afraid the turmoil is not over. 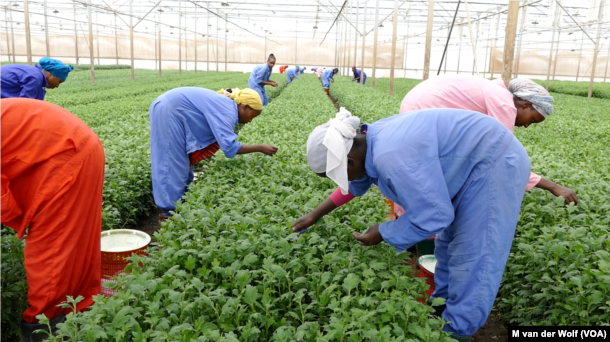 “We have talked with our clients about what we are going to do in the coming months and what we did is that the unique varieties that are produced by us are also now going to be produced in Uganda so that our clients can maintain their continuity in case of problems,” said Driessen. Production is back to normal at Maranque Plants in the Oromia region, Ethiopia, after being almost attacked by protesters on Oct. 4, 2016. No foreign companies have been attacked since the government declared a 6-month state of emergency October 9. The government said this week that it released about 2,000 people detained over the violence. Ethiopia’s government said it will do whatever it takes to restore confidence for foreign investors. But rights groups and opposition leaders warn that addressing protesters’ grievances is the only way to stabilize the country in the long term.